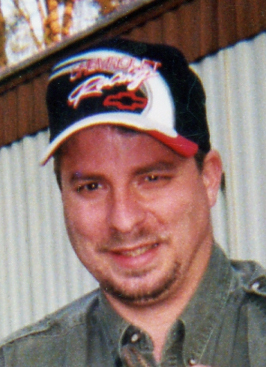 Cory Alan Ellis, 48, of Coshocton passed away Monday, September 10, 2018 at his home. He was born in Coshocton on December 4, 1969 to James and Sharon (Frye) Ellis Sr.
Cory graduated from the Ohio School for the Deaf in Columbus and worked at Longaberger. He was the brother to James (Rhonda) Ellis Jr. of Plainfield and Wendy (Brad) Fluharty of Plainfield; uncle to Austin (Christian) Cutshall, Haley Cutshall, James (Emily) Ellis, Kenny Ellis, Alexis and Sharon Fluharty; great uncle to Conner Voorhies; and grandson to Betty Frye. Cory loved his family and friends and the Ohio States Buckeyes.